Home Entertainment TV Production Softball Season: Lethal Weapon #1 wins 2017 Prime Time Softball League Championship! TV Production Softball Season: Lethal Weapon #1 wins 2017 Prime Time Softball League Championship! Thomas Tom Oseransky, Prime Time Softball League (PTSL) board member, congratulates “Lethal Weapon #1” who beat “Pure Genius” 12 to 11 to win the Championship. It was an exciting game that went back and forth and was finally over after an eighth and extra inning. 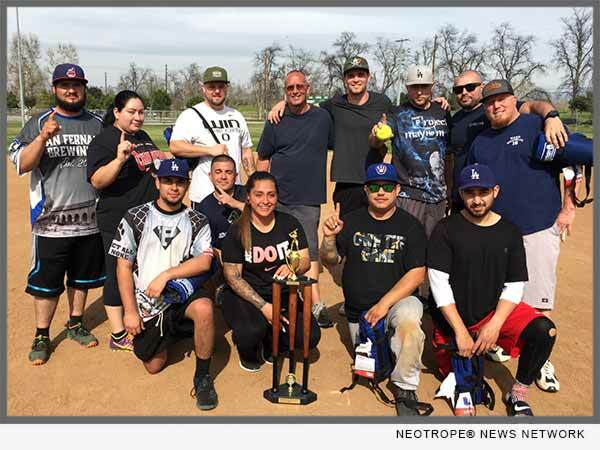 eNewsChannels NEWS: LOS ANGELES, Calif. — Thomas Tom Oseransky, Prime Time Softball League (PTSL) board member, congratulates “Lethal Weapon #1” who beat “Pure Genius” 12 to 11 to win the Championship. It was an exciting game that went back and forth and was finally over after an eighth and extra inning. The teams had to wait three months to play the game due to rain delays. Oseransky says the 2016 season began with 30 teams, and 16 made the playoffs. According to Thomas Tom Oseransky, previous years’ Champions have included “Coach,” “Home Improvement,” “Suddenly Susan,” “CSI: NY,” “Smallville,” “Law & Order,” “Bones,” “Castle,” “Parenthood,” “Tonight Show with Jay Leno” and many, many more. Thomas Tom Oseransky has helped run the league since its inception, which was started by himself and Rosario Roveto Jr. and Larry Rosenthal. For more information on the Prime Time Softball League, visit: http://www.ptsl.net/. This version of news story was published on and is Copr. © eNewsChannels™ (eNewsChannels.com) – part of the Neotrope® News Network – all rights reserved.